The color-enhanced image was taken at 11:31 p.m. PDT on May 23, 2018 (2:31 a.m. EDT on May 24), as the spacecraft performed its 13th close flyby of Jupiter. 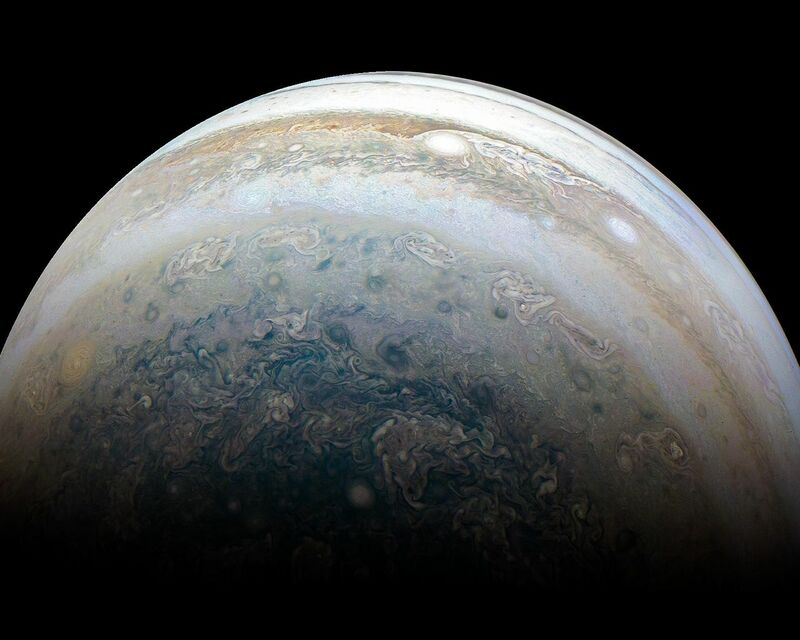 At the time, Juno was about 44,300 miles (71,400 kilometers) from the planet's cloud tops, above a southern latitude of 71 degrees. 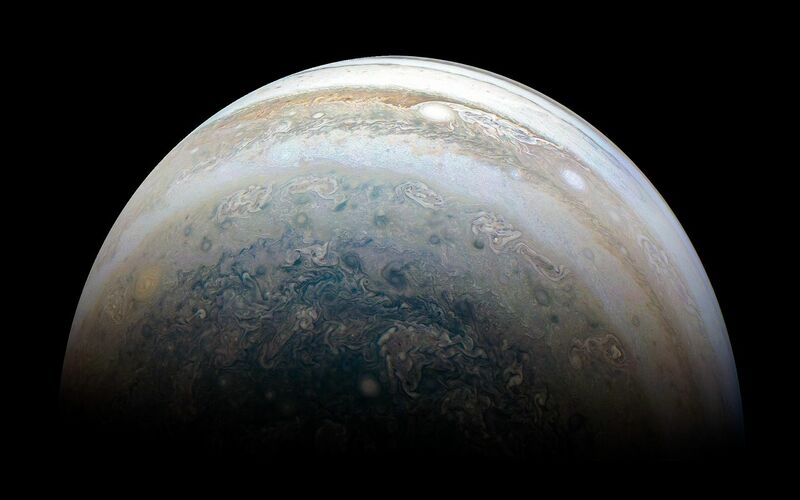 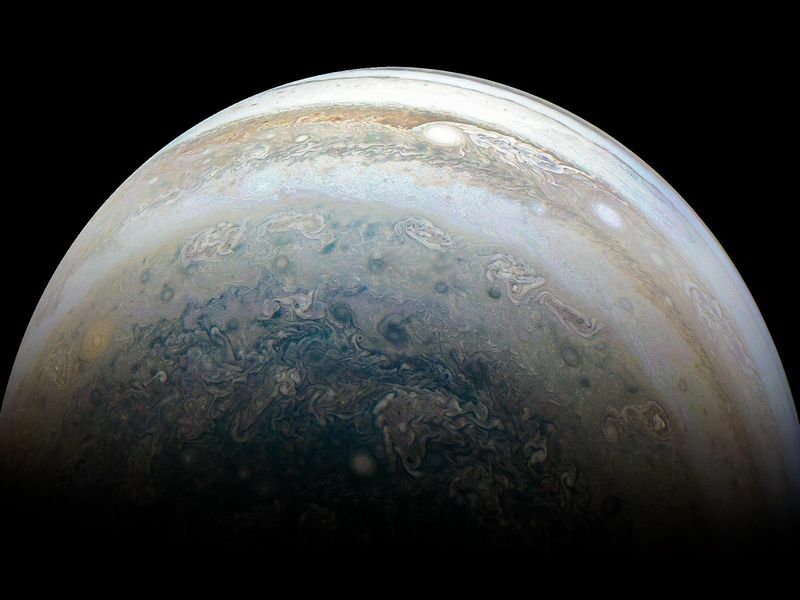 JunoCam takes advantage of Juno's unique polar orbit, studying the atmospheric dynamics and clouds right up to Jupiter's poles, which no spacecraft has ever done before.